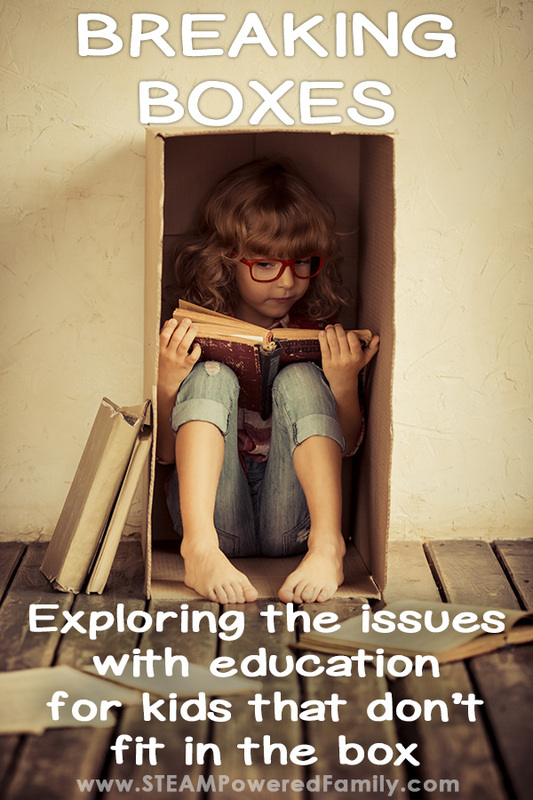 The issues with education we have faced over the years have at times been overwhelming. We tried for over three years to make the school system work for our kids. I believe in the power of school and education, and in my mind this meant going to school. I thought if I was just involved enough, advocating enough, working hard enough, the school system could absolutely work for my kids. We could overcome any school problems with enough effort. But here’s the thing. School is a box. It is built on a foundation of strict rules and regulations. Our local schools are also over crowded. Not just classroom sizes, but our school literally was bursting at the seams using every available space for classrooms and desks. They had kids stuffed everywhere. The people holding it all together are fighting to get through every day, to do what they can with limited resources and time. They teach in one way, on a rigid schedule and with no time for individualization based on needs. They do this because they need to. It is the only way to survive. Both my boys have amazingly complex and complicated brains. And according to the schools our kids were failing. They were unteachable. My youngest, with his trauma history, was written off before he even had a chance. They even wrote a fancy report saying he wasn’t teachable, but never once considered his history of trauma in their evaluation. My oldest faced completely different struggles and issues in the education system. He scored at grade 7 to grade 12 levels on achievement tests written when he was in grade 2, yet wasn’t passing grade 3 level exams. He developed a severe anxiety disorder including OCD and self harm. We explored other school options but our district works on a closed boundary system, and the closest private school would have required over an hour commute each way… if we were even accepted. Most of our private schools are highly specialized and don’t accept children that don’t fit into their very specialized boxes. I knew we were nearing the end of our fight to make the school fit my kids when Jackson commented that the adults at his school never smiled, or returned his greetings. They were always grumpy, mad and lecturing students. I witnessed this myself, along with many other school problems, on many occasions while at the school. It was very antagonistic and not a place that felt welcoming and safe. No one wants to work in an environment like that. Facing failure, judgment and negativity every day. And here’s the thing… in the real world we have thousands and thousands of different types of jobs. You can spend all day moving or sitting at a desk. You work in a team or be completely independent. You can work inside or outside. You can be the boss or let others handle the logistics. You can be in a clean, controlled environment or one filled with sensory experiences. You can do physical labour or spend your days as a thinker. You can work early mornings or late at night. There is a job to suit everyone. Why don’t we have more flexibility in schools? Why can’t we find ways to accommodate different learning styles, different energy levels, different strengths and weaknesses? Why can’t school be more individualized? Well the reason is fairly clear, they simply can’t with the resources and number of children they are working with. For us, to meet our kids needs for individualization, the answer was to homeschool. Our quirky kids, with their amazing brains, simply didn’t fit into the box the schools were offering. I was breaking my kids trying to make them fit. They need an education that works for them so that one day they can find the job, and life, that is their perfect fit. Schools can be wonderful places of amazing growth and opportunity, but like any “job” it is not a one size fits all situation. Thankfully, we live in era where there is so much opportunity to learn and grow, we simply need to find the right fit for each situation. At the end of the day, like any parent, I want my kids to be happy. Now and when they grow up. I want them to have empathy and curiosity and a passion for living life in a way that will leave a positive impact on our Earth. It’s a journey getting to that point and we are simply finding our path one step at a time. Oh and my little dragons are excelling in all areas of learning. Turns out a dragon can be taught, if you simply give them a fighting chance. 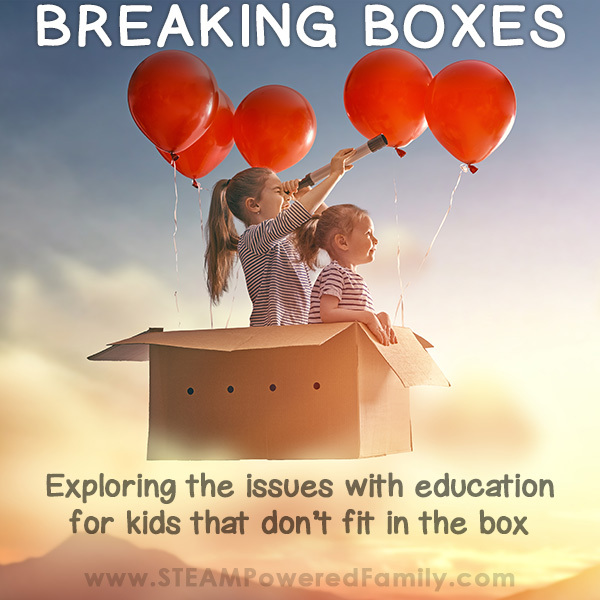 We simply needed to break the education boxes and make the education fit the child. I homeschooled for 2 years because my son and daughter were not getting the education they need. My son has aspergers, and he learns very quickly but has issues socially. My daughter is very social and friendly but education wise she is passed over because she is likeable and teacher have just passed her. I gave both of my children one on one lessons, but eventually they missed the social environment. Meeting the social needs, particularly around close relationships is a big challenge, but we know that is the weakness of homeschooling and are actively working to address that weakness. The nice thing is that you can make choices based on what your children need right now, whether it is at school or at home. It’s all about meeting the best interests of the child in that moment. Wishing you all the best on your journey. Found this post on The Homeschool Nook and I’m SO glad that I did! I whole heartedly agree with everything said in this article. I just kept wanting to say “YES!! !” haha! Thank you so much for sharing. I’m going to share on my fb group and twitter as well because I really think my readers will like it! Thanks! It’s such a great feeling knowing I’m not the only one who feels this way. Every school, every clssroom, every teacher is different. Sometimes things click wonderfully and sometimes they don’t. It shows that you value education because you are fighting to provide your children with the best education for them. You didn’t just give up when others said it wasn’t possible. It might not have been possible in one setting for them, but there are other ways to teach. I’m glad you have found a way to help them be successful! I had shivers run through me as I read this post! We had a very similar experience with our 2 older boys when they attended public school for a few years. I tried so hard to make it work! Volunteered, phone calls, special meetings…I realized that I was fighting an uphill battle. We live in a good school district but MY boys’ needs were not being met. Homeschooling has been one of the biggest blessings to our family-and I’m so glad that you have experienced the same:) Thrilled to have found you on The Homeshcool Nook! Hi Amy, thanks for reading and I’m so glad this resonated with you. It’s hard going but I’m so glad I’m not alone! Great article. I fell into homeschooling for some of the same reasons. Can I ask if you use a particular approach to homeschooling? I really like how you said that an education should help people academically and mentally. I also like how you said that they should also provide a welcoming environment for their students. We want out son to have a good private education; thanks for the tips.